In reality, the period of January-June 2013 saw a huge increase in construction compared to the same period in 2012. The details of the report are summarized below. The full report is available here. APN is deeply concerned over the spiraling calamity in Syria. More than two years of fighting has left the country in ruins and more than 100,000 people dead, including, in the latest phase, hundreds killed in a chemical weapons attack. Americans for Peace Now (APN) today harshly condemned the government of Israel's recent actions to move forward with new settlement approvals and tenders in both East Jerusalem and the West Bank. APN urged President Obama and Secretary of State Kerry to engage vigorously to convince Netanyahu to roll back these reckless, destructive decisions. "Yesterday's announcement of tenders for 1200 new units in settlements in the West Bank and East Jerusalem was an extraordinary sign of contempt for President Abbas and for new U.S. special Middle East peace envoy Martin Indyk, who arrived in Israel this week to restart talks. 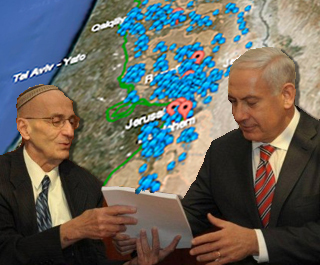 It came on the heels of last week's outrageous news of a decision to press ahead with almost 900 new settlement units. Today's announcement of the approval of nearly 1000 additional settlement units in East Jerusalem appears to reflect nothing short of deliberate effort to extinguish any hopes of success for the Kerry-backed peace effort before the second round of talks even starts. According to an Israeli radio report earlier today, Israel's Prime Minister Benjamin Netanyahu recently ordered Minister of Housing Uri Ariel not to issue new tenders for construction in settlements. On the heels of this report, Israel's Peace Now movement today confirmed that, since President Obama's visit to Israel in March, the government of Israel has not announced or approved any new West Bank settlement construction plans, and has not approved any new tenders for settlement construction. Washington, DC - Americans for Peace Now (APN) today joined its Israeli sister organization, Peace Now (Shalom Achshav) in calling on the government of Israel to repudiate the findings of the commission it appointed to address the problem of illegal outposts in the West Bank. 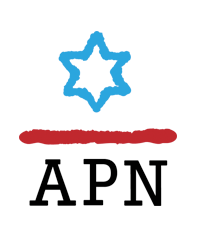 APN calls on other US Jewish groups that support the two-state solution to raise their voices in opposition to this report.